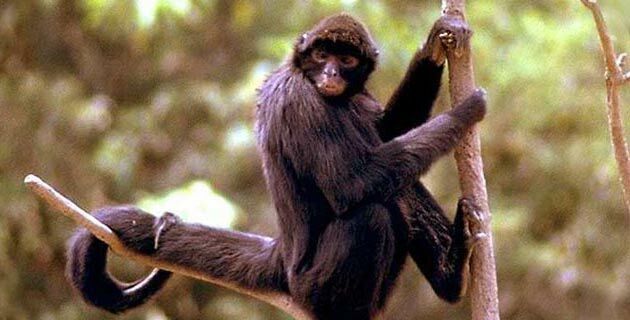 Its main characteristic is that it has very long limbs, and thanks to its feeding habits it is a great disperser of seeds of many species of trees, thus helping the natural reforestation of the jungles where it lives. He is accustomed to live in groups of between five and seven members with whom he travels during the day and takes refuge in the night. It is very easy to see them in the mornings, when they are eating on the top of trees, and also in the afternoon when they are resting. They communicate by a very distinctive bark-like scream, and when they feel in danger their most usual reaction is throwing objects at the predator, or breaking branches from the safety of the treetops. His favorite food is the wild figs known as “koochlé”, the fruits of ramón, or the fruits of the wild tamarind. 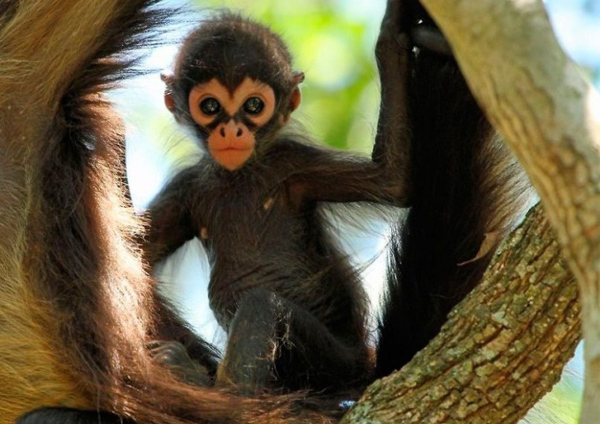 The Mayans had a god that was represented in a monkey, which makes this species emblematic for the local culture.